while others - notably Ultimaker is using the bowden tube collets. With the bowden tube fittings it seems to be easier to attach/detach the bowden tube. 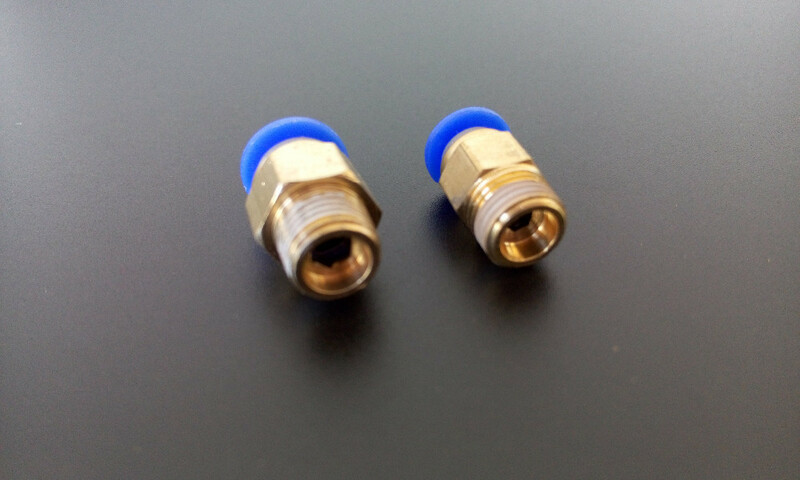 Would it make sense to convert the UM2 to these fittings for easier disconnecting the bowden for Atomic pulls? Does either have any other advantage or disadvantages? Re: Difference between bowden collets and bowden fittings?